An American general is captured in the Middle East. His captors threaten to behead him within days. But moments before he is rendered unconscious during the attack, the general realizes that his unseen captors are American. Gunnery Sergeant Kyle Swanson, a top-level Marine sniper, receives top-secret orders to rescue the general. But upon landing in the Iraqi desert, his men come under ferocious attack, and Swanson is the only one left alive. How did the enemy know details of a mission known only to a few top government officials? Swanson soon realizes he is fighting a particularly ruthless and dangerous enemy: American mercenaries working with the White House. They're part of a clandestine conspiracy whose agenda is nothing less than total control of the American military. 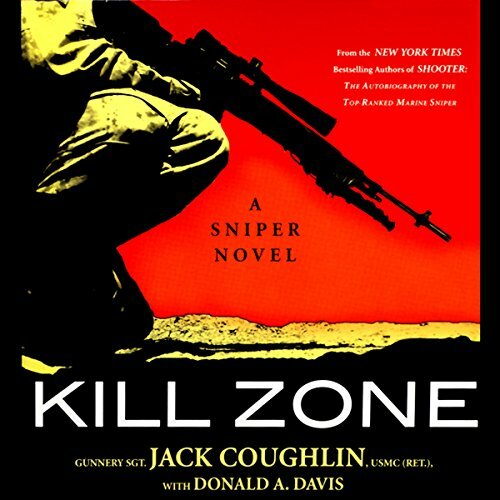 Full of the kind of action that author Jack Coughlin lived during his career as a Marine sniper, Kill Zone marks the debut of an extraordinary writing team.